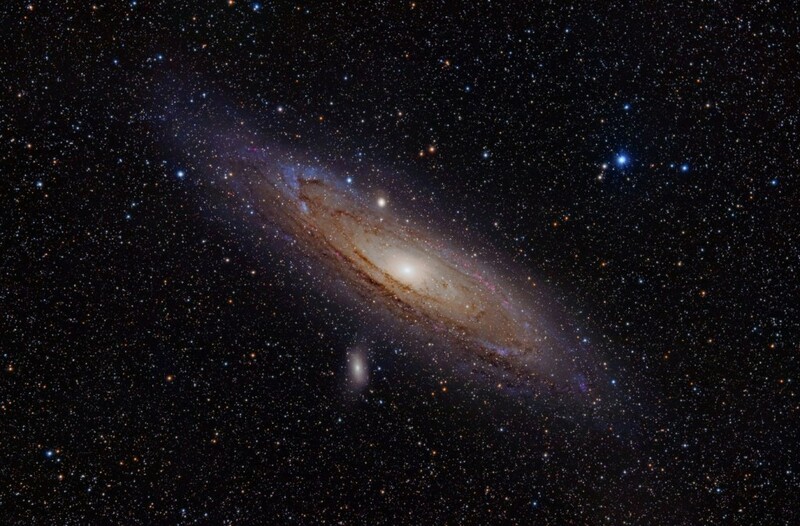 You’ve may have heard of this famous galaxy called Andromeda or M31. It’s located 2.5 million light years away and it’s so large that it can even be seen with the naked eye! However, that’s not the astounding fact I want to talk about today. What’s really interesting is this research paper published in the new Nature issue (March 2014). What researchers discovered is that Andromeda is surrounded by numerous small satellite galaxies (that’s not even the new part!). Astronomers from the Niels Bhor Institute, and among others, detected a string of stars in one of Andromeda’s outer galaxies called Andromeda II. As these researchers follow the movement of the stars they uncovered that they were left over from a merger between two dwarf galaxies. Mergers of such low mass galaxies have not been observed before. It’s quite interesting because the dwarf galaxy Andromeda II is less than 1% of the Milky Way and seeing a merger usually happens when galaxies forms. There’s much to learn about this process and now that researchers have all eyes on Andromeda II they can learn more about the mergers of galaxies.